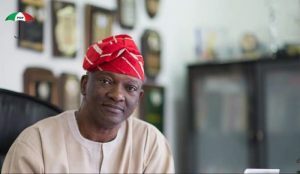 Mr Jimi Agbaje has been declared winner of the governorship primary of the People’s Democratic Party (PDP) in Lagos State. Agbaje, who was the party’s flag bearer in the 2015 election, will be taking another shot at the Lagos oval house, come 2019. He will face Babajide Sanwo-Olu, candidate of the ruling All Progressives Congress. Agbaje was born 2 March 1957 in Lagos. He attended St. Gregory’s College in Lagos and later Obafemi Awolowo University(then known as University of Ife), where he studied pharmacy. He is the second child among his siblings, one of whom is the Lagos banker, Segun Agbaje. He first ran for the office of governor in 2007 as candidate of Democratic Party Alliance. He lost. Later he abandoned DPA and joined the PDP in 2011. In 2015, he became the PDP candidate in the governorship election in Lagos, which he also lost to the incumbent, Akinwunmi Ambode of the APC.